Why is the HSI Professional 1” Glider Ceramic Flat Iron so Effective at Straightening Hair? Is there more than one person in your household that shares a flat iron with you? If there is then you are going to need a versatile straightening iron in order to handle everyone’s different hair type. 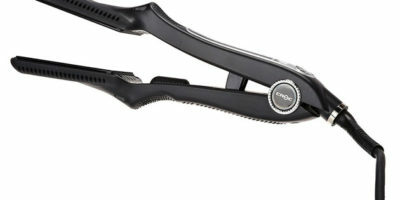 Fortunately, there are many hair tool manufacturers that make versatile flat irons. 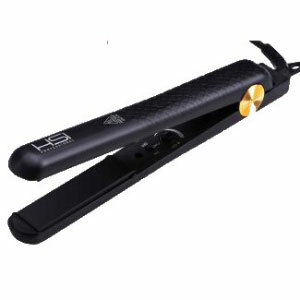 One we have been hearing much about lately is the HSI Professional 1” Glider Ceramic Flat Iron. The reviews of it have been very favorable so we decided to look at it more ourselves. For all this flat iron does it is priced very reasonably. It all starts with its wide variety of temperature choices. The heat it generates is produced by far-infrared means. This makes its heat very gentle for any type of hair. You can set the temperature at settings from 140ºF to 450ºF. Its heat is also very balanced throughout its plates thanks to HIS’s HeatBalance® micro-sensors. This combines with its ceramic plate coating to eliminate any potential hair damaging hotspots. If you are the type of person that is always in a hurry when you are getting ready in the morning you will be pleased to know this flat iron heats up and is ready to use in a matter of seconds. This is a very user-friendly flat iron. It only weighs 18 ounces so fatigue is not usually an issue when using it. 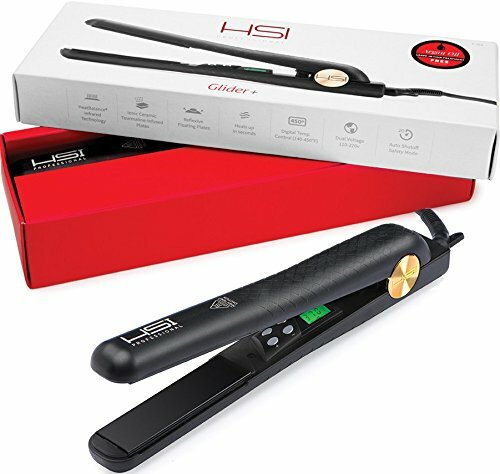 The HSI Professional 1” Glider Ceramic Flat Iron also has a generous 8-feet long power cord with 360 swivel end. Its digital display makes temperature selection fast and accurate too. It has an easy to hold shape and rounded edges for straightening convenience too. What are the main reasons that this straightening iron works great on all hair types? We already mentioned that it has a very wide variety of heat settings. It can be set as low as 140ºF. Fine hair loves to be straightened in lower temperature ranges like that. It also has the max high heat necessary to handle straightening even stubborn coarse or thick hair (450ºF max heat setting). This nice hair straightening tool also has Ceramic/Tourmaline mineral infusion. Not only does this promote even plate heating but it’s gentle on your hair too. Tourmaline infusion is known for helping your hair retain its all-important moisture and also it cuts down on frizz and split ends. We were fairly disappointed with the warranty on this HIS hair styling tool. They only back it up with a short 1-year warranty. That is a little short compared to other flat irons in its price range. It also does not have an auto-shutoff feature. We never understand why any manufacturer would not add this simple safety device to their flat iron design. We would like to see HSI improve on this with their next redesign of this model flat iron. For its price point, this is a very impressive flat iron model, to say the least. The HSI Professional 1” Glider Ceramic Flat Iron has many features that you only see on much more expensive straightening irons. 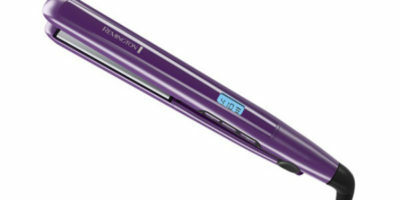 So overall we really liked this flat iron despite the fact its warranty was a short 1-year and it had no auto shutoff. There really was much to like about it. Everything from its wide variety of temperature choices to its ceramic tourmaline infusion is always beneficial to any flat iron user. We also liked that it heats up fast and evenly. Anyone who wants a good, flexible flat iron should consider purchasing the HSI Professional 1” Glider Ceramic Flat Iron.